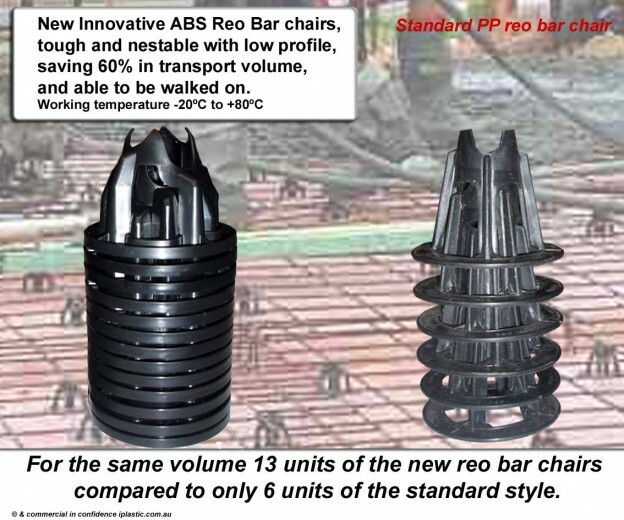 The new reo bar chair can accept reo bar up to 20mm in diameter, they are supplied in stacked and tied as units of 50 pieces per unit. 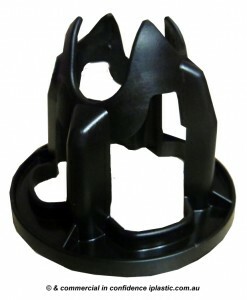 This is an easy to handle stack just over 500 mm tall. 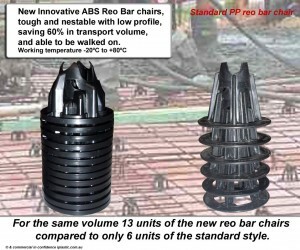 The concreter using these new bar chairs can conveniently carry twice as many of them as the old design ones, a considerable saving in labour when used.